According to a preliminary report released by the National Transportation Safety Board on June 26th, the battery in a Model S Tesla car involved in a fatal car accident here in Florida reignited twice after firefighters extinguished the blaze that consumed the vehicle on impact, presenting a significant hazard to consumers. The report is part of a federal agency investigation into the electric car’s lithium-ion battery and its potential to start fires, as well as the emergency response to this potential hazard. The Board is now examining a number of crashes involving Tesla vehicles, including those involving the Autopilot driver-assistance system, which has reportedly failed to prevent car accidents. Previously, two Tesla drivers died in crashes in which Autopilot was engaged, one of which is still being investigated by safety regulators. 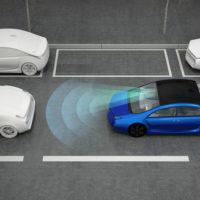 The company has also agreed to compensate any owners who purchased the 2.0 version of the Autopilot software and had to wait longer than expected for these driving features to work in their vehicles. If you have suffered due to a car accident that was either the fault of the other driver or a manufacturer, ensure that you discuss the issue with an experienced car accident lawyer before you speak with anyone else about the accident, including any insurance companies. It is crucial to ensure that you work with someone who is knowledgeable and trustworthy, and who will ensure that your best interests are protected so that you can start to get back on your feet and on the road to recovery. The experienced Florida accident attorneys at Douglas & Carter are here to help—contact us today to find out more.